Long-term cooperation of Novotrans Capital, LLC with sea line agents, direct contracts and considerable container carriage enable the company customers to have substantial discounts for maritime cargo transportation from any port of the world to the ports of Novorossiysk. 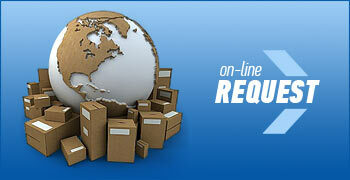 Our personnel would compile the booking request and place the order in the selected line. Preparation of the request for all lines of the direction determined by the customer, obtaining rates, data processing and presentation to the customer of the most profitable rate (tariff) for the ratio "cost/delivery time" is our job.. The experienced managers of the company would perform analysis, prolongation and update of the obtained rates, elaborate the option of rate reduction based on the data from the competitors' lines. We would compare the rates for overland delivery in the shipping country and select the most optimal variant. One of the most important issues of overseas transportation arrangement is accounting of the ordered goods, data collection of shipment date, numbers of bill of loading and containers and customer information on them. We keep calculating the customer's costs, so we maintain control of the invoices drawn up by the lines for transportation in accordance with booking and the rate current for the time of shipping. The personal manager would check accuracy of the documents and correct if necessary. Our long-term experience of work on the main overseas cargo directions from China and Turkey, South-East Asia, America and Europe entitles us to offer a full package of overseas freight services. Cooperation with the biggest container lines of the world stipulates our offer of optimal rates for our services.